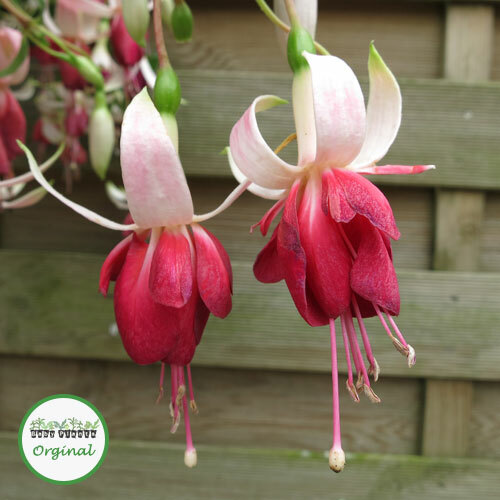 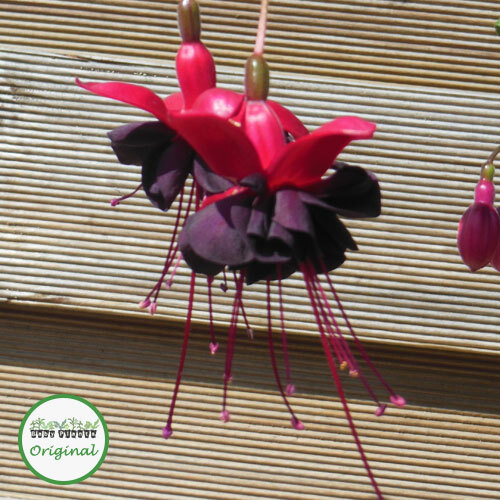 Blacky is one of our most popular Fuchsia varieties, producing deep double flowers. 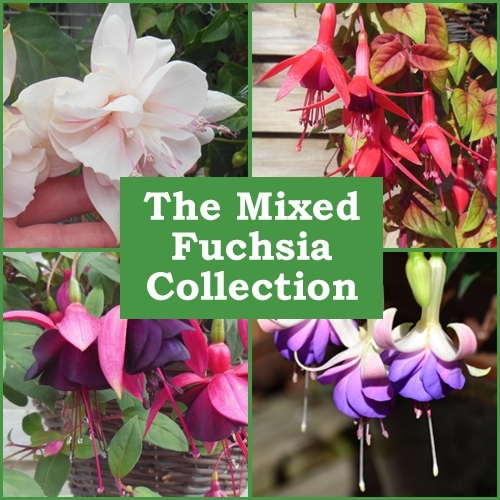 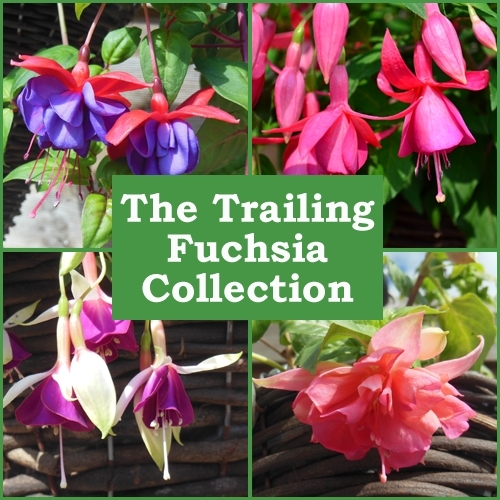 ?It will grow up to start with and then like all large flowering fuchsias, the weight of the flowers will pull the branches downwards. 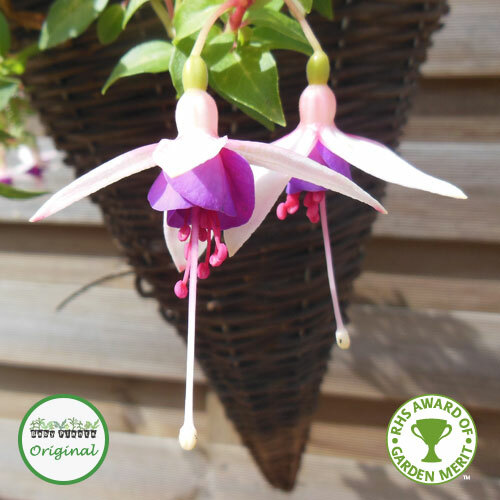 ?This creates a wonderful visual display in?tubs and hanging baskets, either mixed with other plants, or in a solo hanging basket. 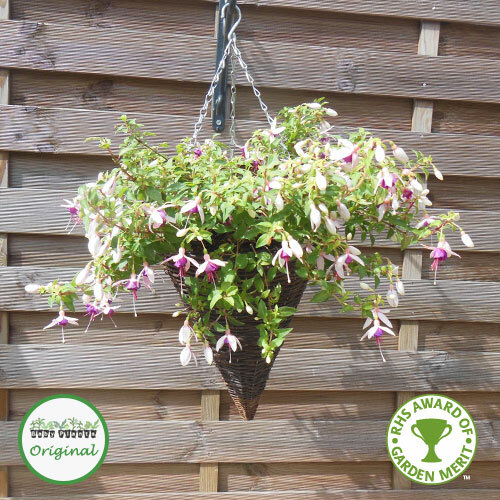 ?To fill a 12″ or 30cm hanging basket use 5 plug plants.